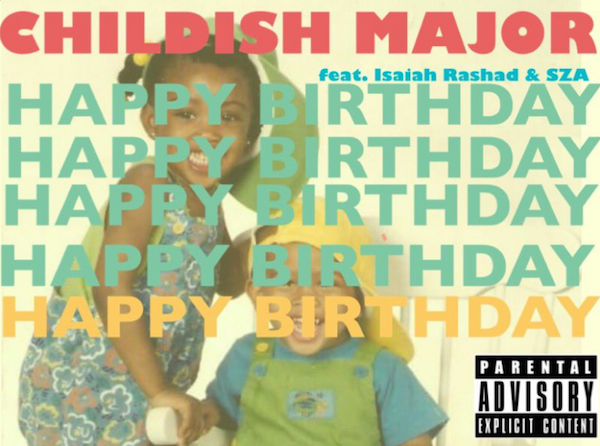 Childish Major Teams Up With Isaiah Rashad and SZA For "Happy Birthday"
It may be the Fourth of July today, but it also happens to be Childish Major’s birthday. While presents are usually given to person celebrating his or her birthday, Childish chose to break tradition this year, treating fans with a new song. The aptly titled “Happy Birthday” features two of TDE’s best, SZA and Isaiah Rashad, and is an upbeat offering that’s perfect for celebration, birthday or otherwise. And, good thing for the birthday boy, he’s definitely happy with how the collaboration turned out. 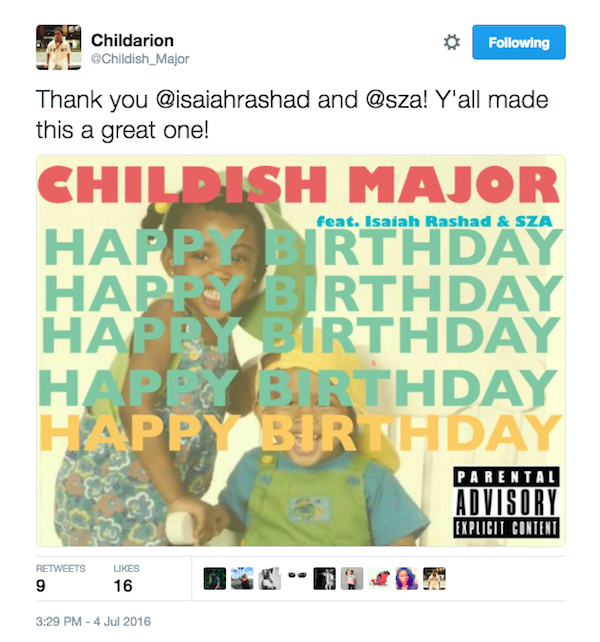 Listen to Childish Major, Isaiah Rashad, and SZA’s “Happy Birthday” below. Happy birthday, Childish Major.